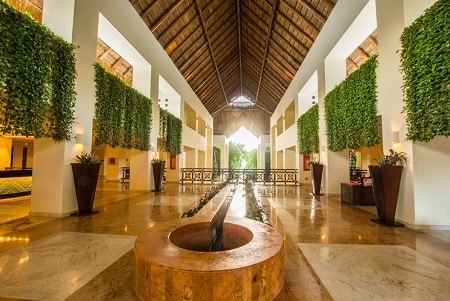 2019 All Inclusive Occidental at Xcaret Destination in Playa Del Carmen, Riviera Maya, Mexico! Bid Per Person Per Night & Choose Your Length of Stay! 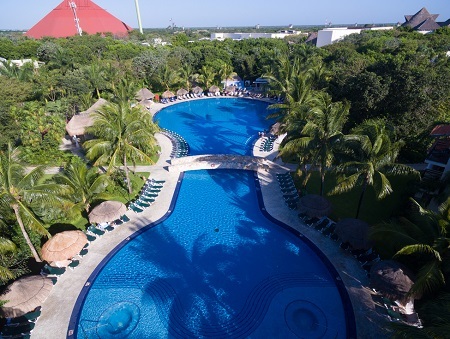 An All Inclusive resort surrounded by natural beauty. 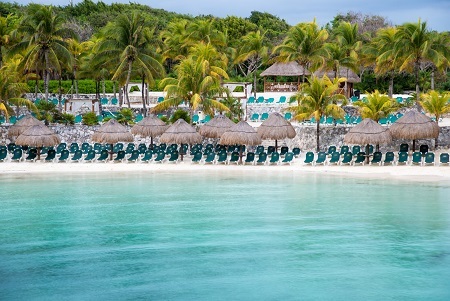 The Occidental at Xcaret Destination***** hotel (a member of the Barceló Hotel Group and formerly the Occidental Grand Xcaret Resort) is a 24-hour all-inclusive resort located in the heart of Riviera Maya. Its spectacular mix of natural and cultural environments is the inspiration for enjoying an unbeatable experience. Also, the hotel’s culinary selection is designed to satisfy the needs of every kind of guest. With 10 bars, including a club, and 11 restaurants, guests have the freedom to choose a snack, an informal or gourmet meal, or a candle-lit dinner with their partner, among many other possibilities. 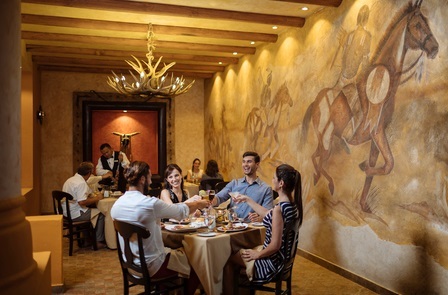 Located close to the Xcaret eco-archaeological park, which offers a great day out for the family, with over 40 cultural attractions and exhibitions on Mexico’s art and tradition. 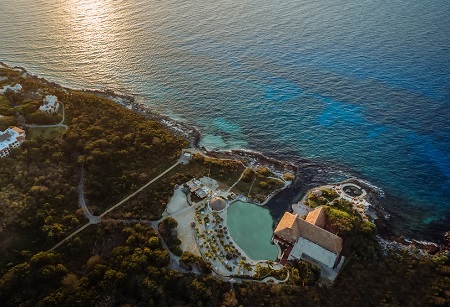 It also features natural river formations, 5 swimming pools, a dolfinarium with daily visits, and a private bay with soft white sand. This impressive complex has 764 rooms and suites with a terrace or balcony, all of which have been recently refurbished, and which stand out for the magnificent gardens that surround them. Offer is based on a Double Occupancy in a Deluxe Room. Surrounded by stunning gardens, the 378 magnificent Deluxe rooms of 344 ft2 are ideally distributed to share them with family or friends. 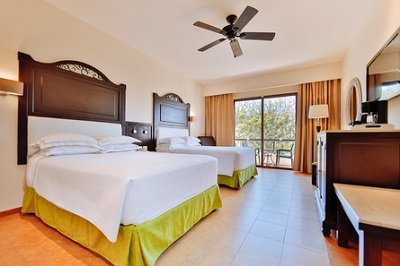 They come with 2 comfortable double beds or a king size bed that will provide guests with enhanced rest. They also offer a full bathroom and terrace or balcony with spectacular and exotic views. The best backdrop for a perfect vacation. Maximum room capacity: 4 people (possible combinations: 2 adults and 2 children; 3 adults and 1 child). Upgrade to Junior Suite for + $40 per person per night additional. For those seeking more space, the luxurious 66 Junior Suites of 506 ft2 are the best choice, designed with every luxurious and exclusive detail to make the stay a unique experience. These room have a lounge and bedroom, with 2 double beds or one king-sized bed, in addition to a fully equipped bathroom. They have a balcony or terrace from where you can contemplate the exotic landscape. Please note: These rooms are located on the corners of the buildings, with no connecting rooms. Maximum room capacity: 3 people (possible combinations: one adult and 2 children, 2 adults and one child or 3 adults). Deluxe Concierge Room - (room comes with an exclusive concierge service to help create a memorable vacation) options available. See - Hotel Information - below for additional costs. Children under the age of 2 years are FREE when sharing same room with 2 adults. 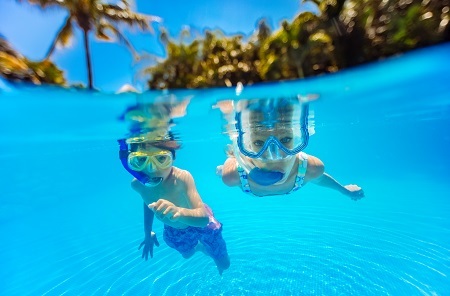 Up to Two (2) Children 11 years old or younger per child per night when sharing a room with 2 Adults for as low $50 per child per night, see Options Available below. Stay a minimum of 3* nights or up to 14 nights as desired and based on availability. Single Supplement: Offer is based on double occupancy, single supplement of +$150 per night is available for those traveling or rooming solo. Single parent staying with children must pay the Single Supplement and Child rate.